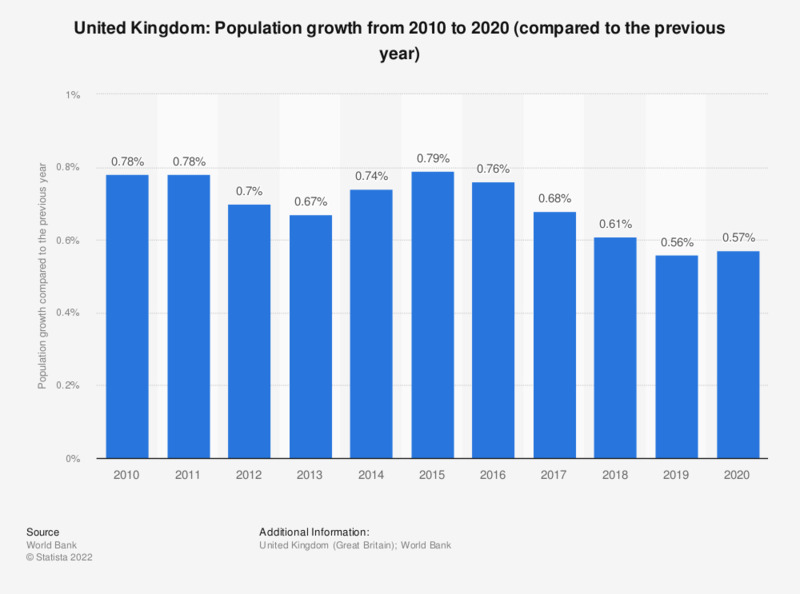 This statistic shows the population growth in the United Kingdom from 2007 to 2017. In 2017, the UK population grew by about 0.65 percent compared to the previous year. According to the source, these figures refer to the United Kingdom and include Great Britain (England, Wales and Scotland) and Northern Ireland.